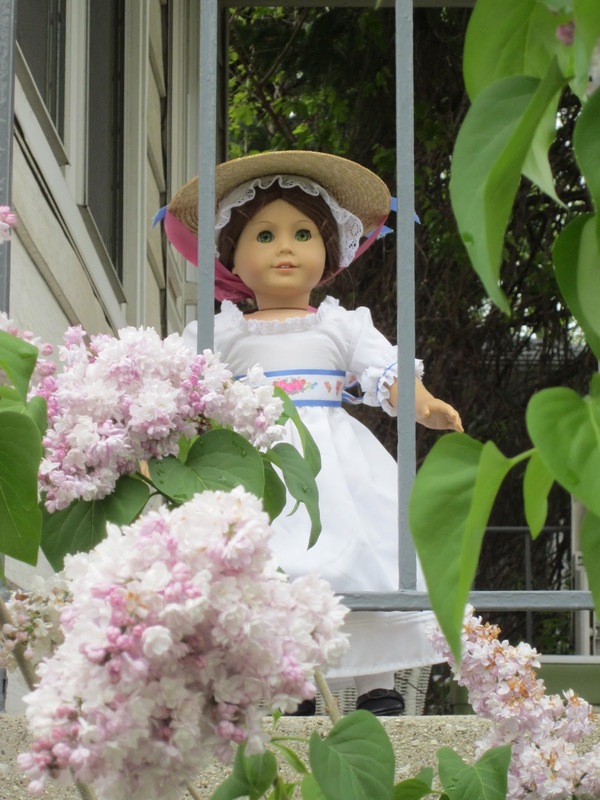 It has been rainy and cold for what seems like a long time, but now we are in the full bloom of spring – one of Felicity’s favorite seasons! 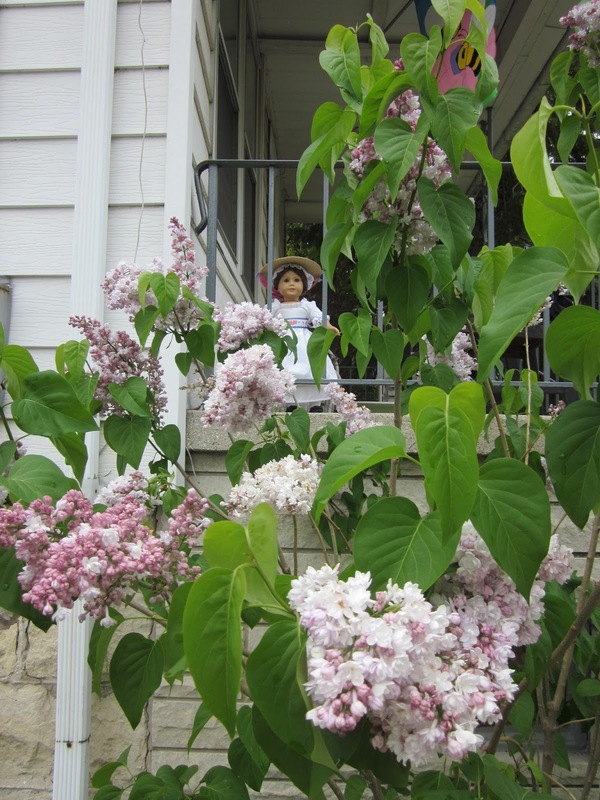 Lissie decided to head outside and smell the little lilac bush I planted outside my house three years ago. There are so many more flowers on it than when Felicity had visited it last. “Oh my goodness! 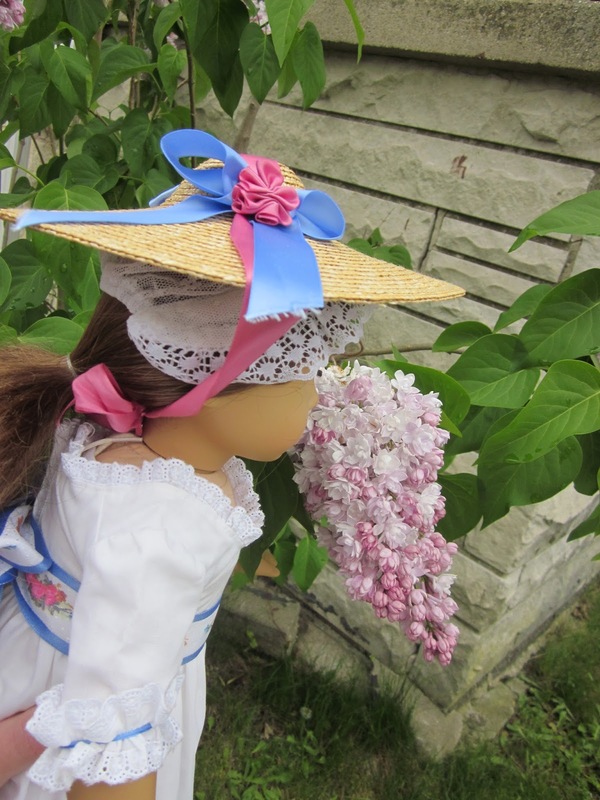 They smell so good!” Felicity took a deep breath. Praise the Lord for springtime and flowers! ps. I’m writing this on Mother’s Day, so happy Mother’s day to mother who might be reading this!! God’s blessings! 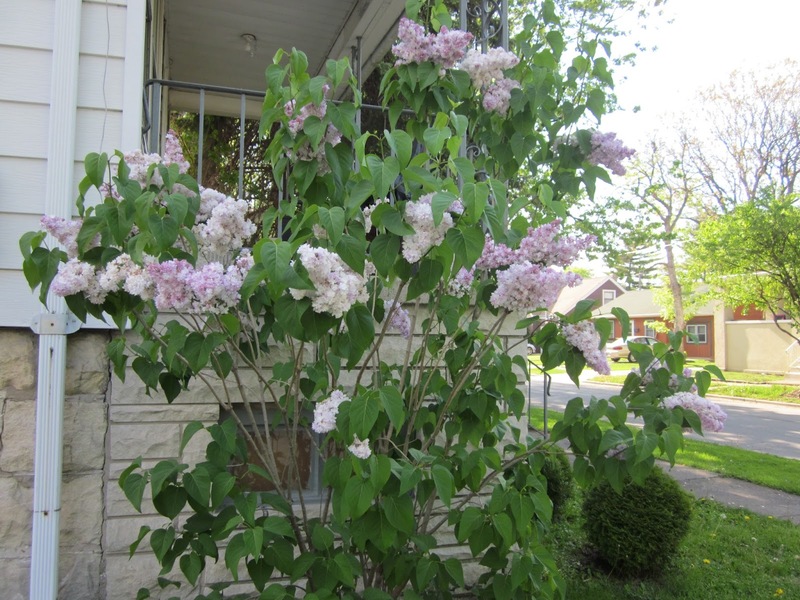 The lilac is gorgeous… the bloom colors are very unique. 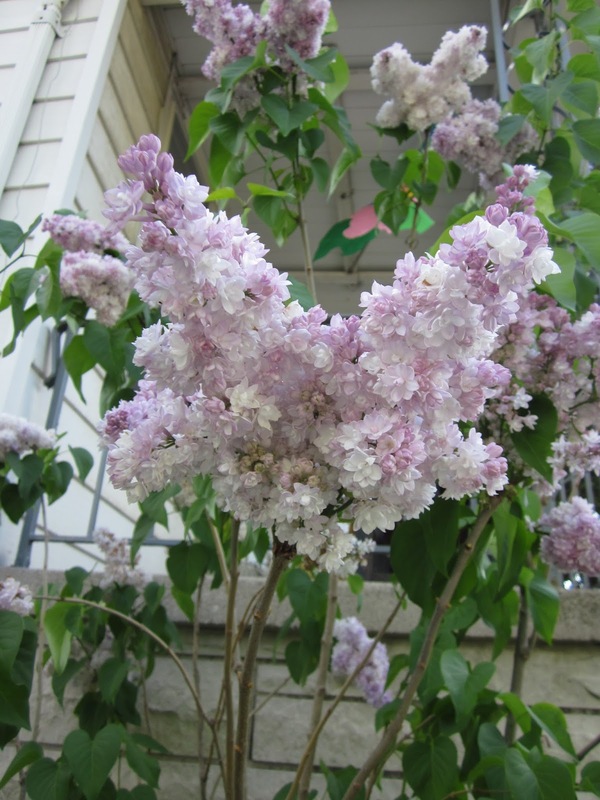 We haven’t quite warmed up enough for lilacs yet… probably after this week. 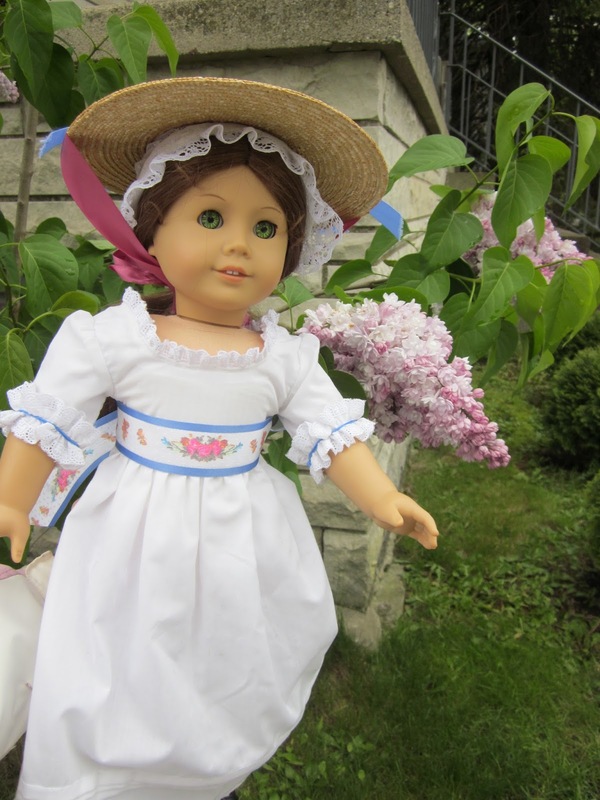 I got a little something for a doll for a Mother’s Day gift so stay tuned on that! Oooh! Cool! Can’t wait to see! Happy Mother’s Day, Jen! Yeah, I know! As soon as it rains hard, they’re practically gone! 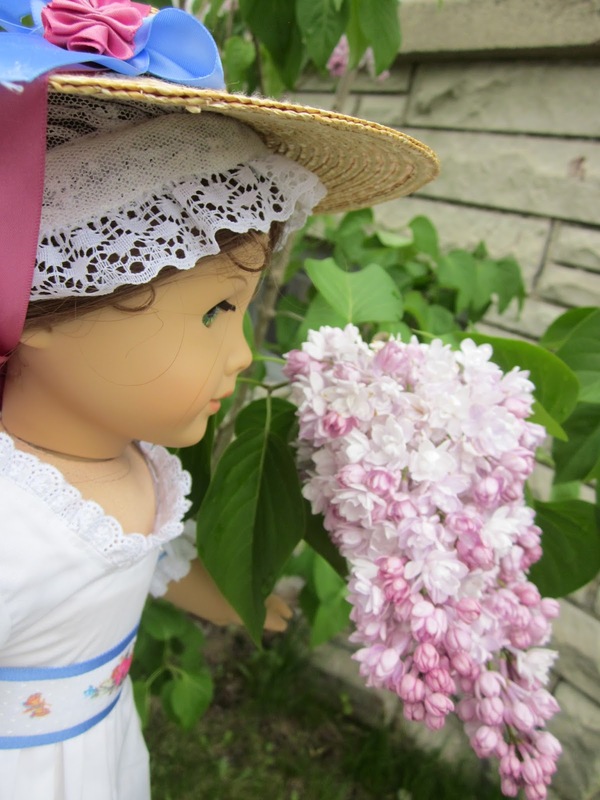 I love lilacs, but can never find them in our nursery. Felicity looks so lovely. That is my favorite dress of hers. It’s one of my favorite’s of Lissie’s too! Samantha and Nellie have been nominated for the Sisters Award! Check out my blog, The Savage Dolls, to see what they get to do. Congratulations!